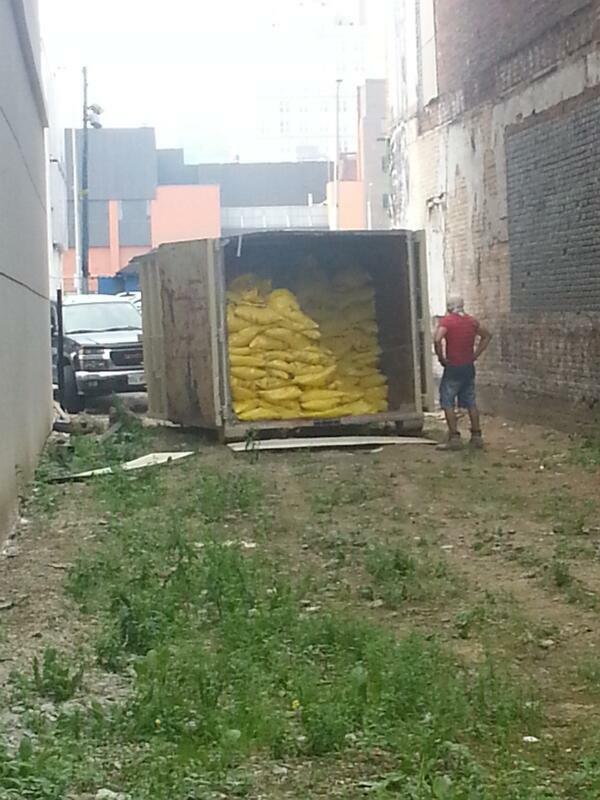 Workers today were removing sealed yellow bags of asbestos-containing material from 24 and 28 King Street East and loading them into a dumpster in the rear of the 30 King Street East lot, which was demolished in May 2011. These bags are filled with asbestos containing material, such as plaster, vinyl floor tile and pipe insulation in preparation for the upcoming demolition. Wilson-Blanchard has a demolition order for 18-22, 24 and 28 King Street East, but has submitted a letter of intent to revoke the permit for 18-22, the facade and front part which the developer says it will preserve "if possible". Local heritage advocates want City Council to designate the historic buildings under the Heritage Act, but Council does not value heritage very much. 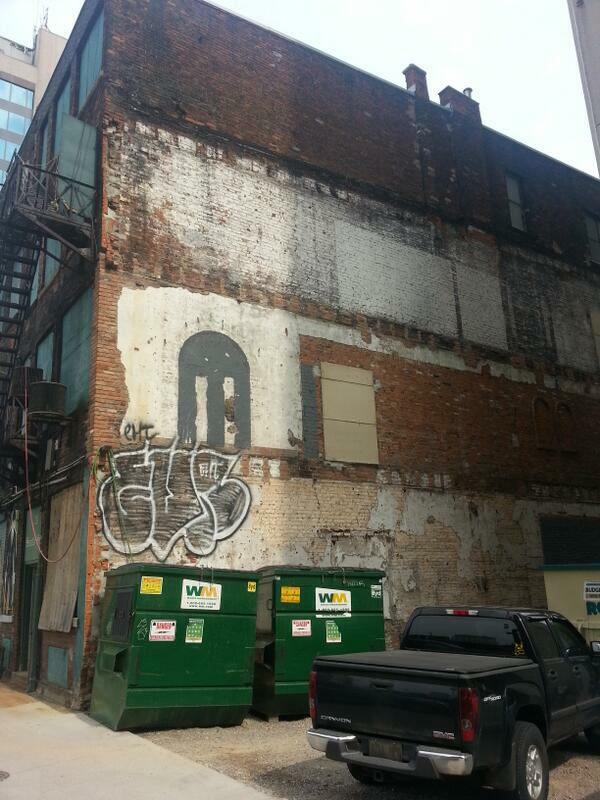 Instead, the City negotiated a compromise to maintain the facade of 18-22 without designating any of the buildings. The developer, Wilson-Blanchard, has announced its intention to build a new multi-storey development on the block bounded by James, King, Hughson and Main, but has provided no details and submitted no plans. Update: updated to add the response from Robert Miles. What is in those yellow bags? They're for the removal of asbestos and other hazardous materials, I believe. Thoses bags is asbestos !!!!!!!! Where is Ministry of labour and ministry environment on all this removal? This looks way out of line of removal standards. Not sure why you feel the need to turn this into a culture war front. Can't we all just agree to bw upset about this? Hey MAW - those so-called "downtown tree-hugger environmentalists" were busy today protesting Enbridge's Line 9 in Westover. You can thank them nicely for trying to save the world. Who is fear-mongering? He's just posting that workers are clearing it out. That is a lot of asbestos. I wonder how much that put him back just so he could demo the building, yet alone preserve it. It suddenly becomes clear why these building may have been difficult to rent for years. You need to abate asbestos whether you demolish or restore. For a major to-the-studs reno, the cost is equivalent.